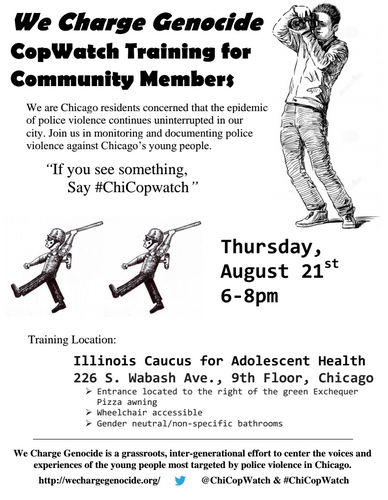 People concerned with the epidemic of police violence are getting together to monitor it. The police can’t kill and abuse the same way if the community is watching and knows how to report it. Come learn your rights to monitor police violence and get together with others to start Copwatch programs in your neighborhood.